BlizzCon 2014 is just one month away, and will be held in Anaheim on November 7-8. The official BlizzCon 2014 schedule has been released, with a Diablo III panel on Friday and Saturday afternoon. These include details on upcoming additions to the game, and creating a Legendary item as part of one of the panels. See what we know so far about the panels, and a speculative look at what we might hear from the Diablo III developers during the event. Diablo III - What's Next (Friday at 2:15PM to 3:15PM PST) - Join the Reaper of Souls developers as they discuss new features and concepts that will be coming soon to the world of Sanctuary. Evolving Reaper of Souls (Saturday at 12:45PM to 1:45PM PST) - Explore the team’s ever-evolving design philosophies, and learn about changes now in development. Then watch the developers team up with the community to create a new Legendary item for looting in a future patch. So that's what is known about the Diablo III panels coming up at BlizzCon 2014. Here is some good old-fashioned speculation on what might be discussed in the panels and elsewhere at BlizzCon. Patch 2.2 - The next content patch will likely be a big focus of the Diablo III discussion at BlizzCon. While it may be named as a minor patch like patch 2.2.2, it is more likely to jump to the major naming of patch 2.2. Patch 2.2 could be bringing Season 2, quality of life improvements to Greater Rifts, new Legendary Gems, and more! Greater Rifts - Greater Rifts arrived in Patch 2.1, and as with any new system there are refinements that can be made. Changes are likely planned for Greater Rifts, as the developers refine the system for Season 2. We know there will be changes to Greater Rifts that also help out in the regular Nephalem Rifts, such as improving the location and AI that controls the Rift Guardian spawn. 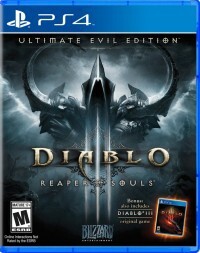 Diablo III Season 2 - The Diablo III developers intentionally kept the gameplay in the first Season the same as the base game. That is likely to get changed up for the second season. One possibility out of many was mentioned in a Tavern Talk developer discussion: removing the item affix Critical Hit Damage entirely and adding in other affixes like a flat damage increase. Seasons can be used to shake up the gameplay and itemization, and test out different ideas without overhauling the entire game. Skill Updates - Since patch 2.1 there haven't been further patches that changed class skills. Presumably the developers want to keep skill changes to a minimum in the middle of a season. Skill changes are likely queued up for the next patch, to increase the diversity of choices so there are more popular builds to pick from. For classes like Demon Hunter there may be skills buffed to encourage builds beyond the standard Sentry Marauder's Set (M6) build; will there also be nerfs that reduce the power of that build? Will the Witch Doctor's Wall of Zombies get a long-desired overhaul, to make it useful? We may hear about these sort of skill changes at BlizzCon. New Legendary Gems - The Legendary Gems have been a popular part of Greater Rifts, and the ones in the game so far are just the start. There are more Legendary Gems on the way, including some focused on defensive abilities and playstyles. Looking over the Legendary Gem popularity, it is plain that many of the current Legendary Gems are not widely used. We may hear about plans to update those lesser used Legendary gems, if the developers are looking to make adjustments to them. Spending and Getting Gems - The non-Legendary gems are going to be receiving some love in an upcoming patch. That might be fleshed out at BlizzCon: systems to allow players to acquire specific gems, and also to use up that specific gem type that you have too many of. Story Time 2.0 - At BlizzCon 2013 game designer Wyatt Cheng sat down for a lengthy discussion with Diablo III fans. Dubbed the Story Time with Uncle Wyatt, this proved very popular in providing an overview of the development team's thoughts on a myriad of Diablo III topics. Mr. Cheng is interested in round 2; that may happen, or that sort of discussion might be rolled into the two panels. 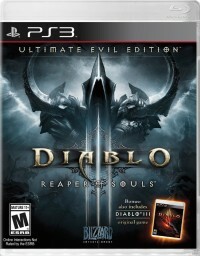 The Devil's Hand - The collection mini-game was considered but not implemented for the Reaper of Souls expansion. 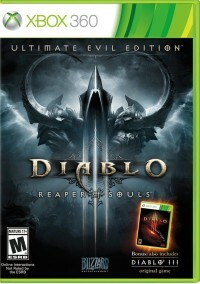 Diablo III game director Josh Mosqueira has talked about new content as being discussed at BlizzCon. Expect to hear about new Reaper of Souls content, whether in the form of a collection mini-game or something else entirely. While there is plenty that will likely be discussed at BlizzCon 2014 for Diablo III, there are some topics that just aren't likely to turn up. 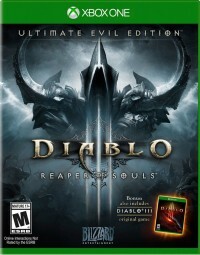 Diablo III Second Expansion - We don't expect any discussion of a second expansion for Diablo III at BlizzCon, especially with Reaper of Souls having only arrived on console fairly recently. Blizzard is not the sort of video game company that cranks out a new major game expansion every year. (That is true even when it is highly desired by the company; the World of Warcraft team at Blizzard has been trying for over 5 years to expand to the point where they can make annual expansions, and they still haven't reached that goal.) While the odds are very high that another Diablo III expansion will eventually be developed, it is not in the cards as being announced this year. More Big Legendary Revamps - Patch 2.1 brought a lot of changes to Legendary items, with new items introduced, and old ones revamped. Players shouldn't expect constant changes to existing Legendary items, and patch 2.1 was one of the last big overhauls to current items. As outlined by Mr. Cheng, the developers do not like to change existing items, and will do that as infrequently as possible. While BlizzCon 2014 might not provide the major impact for Diablo III like it had last year, when Reaper of Souls was in the middle of development, there is still a lot going on for the game. Here at Diablo Somepage we will be covering both of the panels and other Diablo III news from BlizzCon 2014; feel free to follow us on Twitter, Facebook, or Google+ for updates.